Face gel cleanser with rice particles which gently and thoroughly clean the skin but do not scrub it. It is SLS/SLES free and rich in plants extracts. The base is aloe vera juice. A small amount of gel to the face, avoiding the spread of the eyes, rinse with water. After washing should use natural tonic Orient suitable for your skin. Jasmine has originated in Asia. The name comes form Persian meaning "gift of god". In India and sri Lanka it is used in religious rites. Baskets with jasmine are placed underneath the gods statuettes. Jasmine is also a national flower of Pakistan and the Philippines. The most beautiful scent is at twilight. That is why the pettals are collected at the twilight for production of oil which is used in aromatherapy, massage, dry and sensitive skin care. 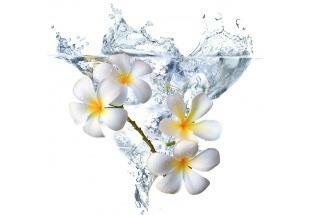 The oil perfectly soothes irritation, highly moisturizes and strenghtens the skin. The fragrance relieves stress, is antidepressant and aphrodisiac. In India exist under the name "kumari" which means "herb of young virgin." It contains more than 200 of an intense beauty substances. Effectively moisturizes the skin, soothes irritations and has anti-inflammatory. Regulates natural moisture levels and counteracts the effects of dehydration. Nourishes the skin, slows the aging process, supports the action fibroblstów - cells responsible for collagen and elastin production. 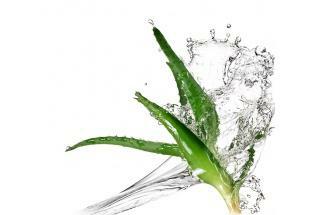 In cosmetics Orient use aloe vera plantation in India and Taiwan. water, aloe vera juice, glycerin, particles of rice extract, licorice root extract, ginseng root Indian, carbomer, rose water, Polysorbate 20 (from coconut oil), sodium hydroxide, oil, jasmine, green tea extract, citric acid , sodium benzoate (blueberry), potassium sorbate (blueberry).